This story was very sad but it was exilent too. Because it shows that Australia is quit rich. We have food and clothes and water too. We are lucky and we also don't really let refugees in our country. We should help refugees somehow. We need to share. 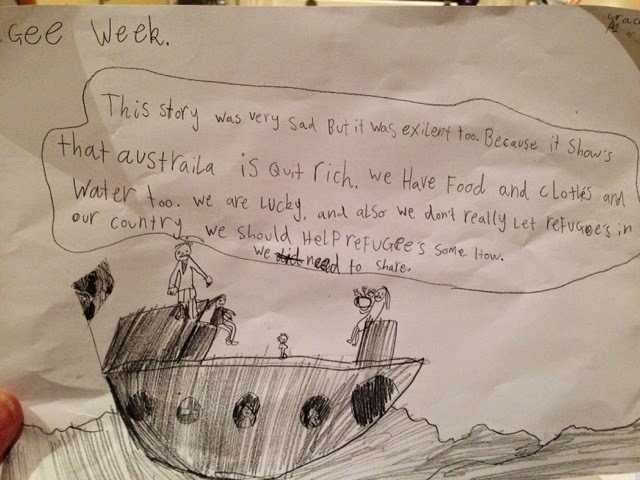 Grace wrote this after a school visit from a young man who came to Australia as a refugee from Burundi and is now a successful hip hop artist. All my girls were very impressed and moved by his story.